Wotofo makes a TON of awesome tanks and mods, but it also happens to make one of the best value coil building kits around (it’s only $25.99). I’ve had one of these for about 18 months now and it has been a pleasure to use on a weekly basis, as it has everything you need to get your coils installed inside RDAs, RTAs, and RDTAs. 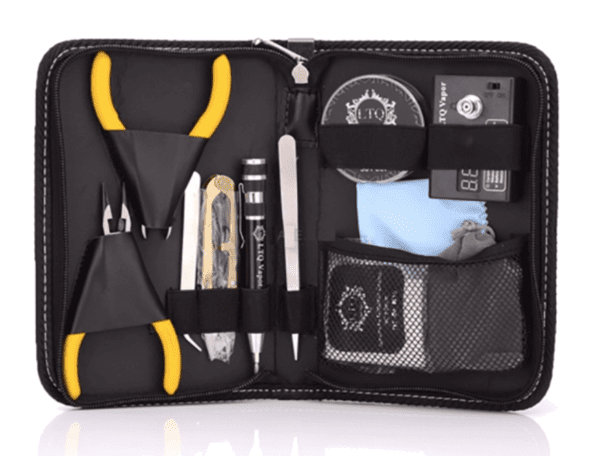 This bag of tricks has everything you need for your vape life, including cotton, wire, screwdrivers, wire cutters and ceramic tweezers. If you’re new to building coils, this kit is definitely a sound investment as not only will it ensure you don’t make too much mess, by keeping all your gear in one place. It doesn’t come with an Ohm’s Reader, however, but that’s why the price is so low. If you do require an Ohm’s Reader, I’d 100% go with DirectVapor’s more expensive (but very popular) coil building kit ($36.95). Do You REALLY Need An Ohm’s Reader? An Ohm’s Reader isn’t essential. I mean, I don’t use one and I’ve never had any issues. They are handy for reading the Ohm’s of your coils before you fire them up on a mod. But you can get an accurate reading from just using your mod, which is what I do most of the time, so while they are certainly handy, they are definitely not essential. My brother got me the Wotofo Coil Building Kit for my birthday and I use it most days. Mostly for tweaking builds and creating new ones, but also for keeping all my gear in one place. For me, this is a massive deal, as I am super unorganized. I need stuff like this to function properly. Orderliness does not come naturally to me! It’s designed for master and apprentice builders alike, and it is basically a one-stop shop for everything you will need to build EPIC coils for your RDAs and RDTAs. 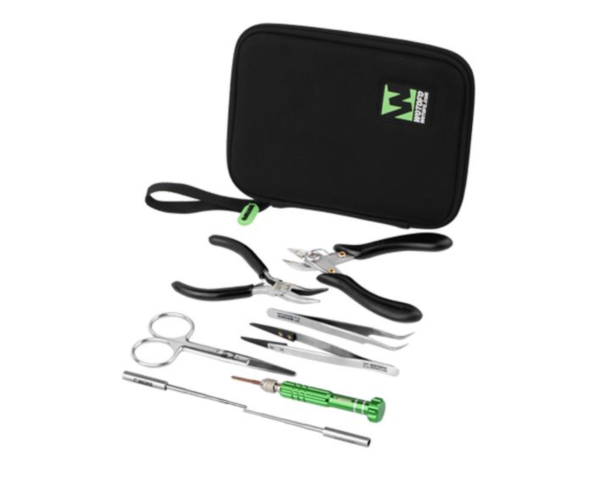 Inside the kit, you get medical standard scissors, a tungsten reinforced flush cutter, a pair of wire-friendly bent nose pliers, bent tip tweezers, hardened ceramic tweezers, 2 four-size coil jigs, and a 4-in-1 screwdriver – which is basically all you need to make KILLER coils. 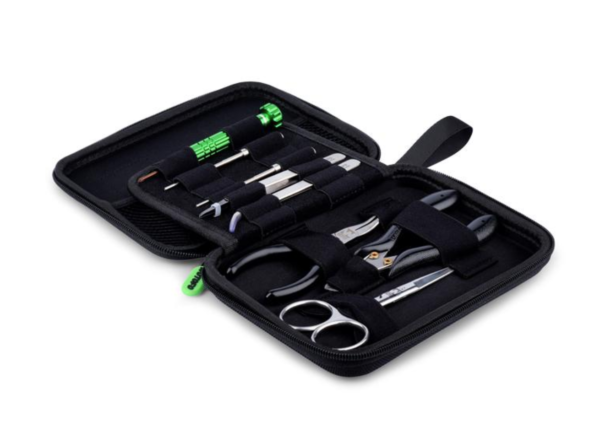 But the best thing about this kit is the price – you can pick one up for just $25.95. And that, my fellow vapers, is what you call a MASSIVE bargain. Since I started building more this year, this kit has become invaluable. It’s portable and easy to store and has literally everything you will ever need.